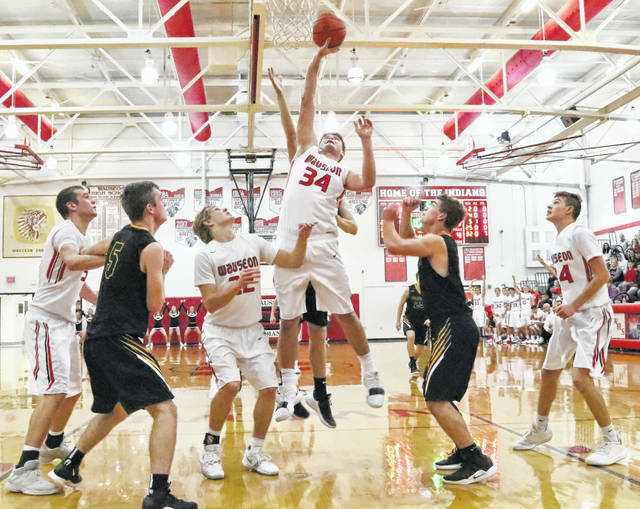 Sean Brock of Wauseon with a basket in a game this season. The Indians currently sit at ninth in the state basketball rankings put out by the Ohio Associated Press earlier this week. There was only one change for area teams in the latest edition of the Associated Press state basketball poll released earlier this week. Wauseon dropped once again in the Division II boys poll. The Indians (10-3) dropped from seventh to ninth. In Division III Archbold still holds the top spot. The Blue Streaks, now 12-0 on the season, received 16 first place votes. In the girls poll, Delta remained at 10th in Division III. The Panthers hold a 13-1 record. They are at Evergreen tonight before a non-league contest at Ottawa-Glandorf on Saturday. O-G is ranked fourth in Division III.